OMG Posters! 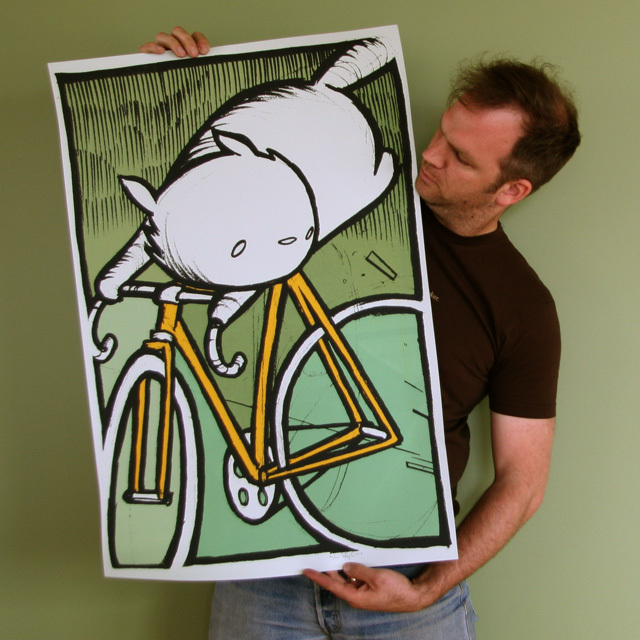 » Archive Jay Ryan "CatBike" Art Print Available - OMG Posters! The Coudal Partners Swap Meat just released an amazing new exclusive art print by Mr. Jay Ryan. CatBike is a HUGE 23″ x 35″ 9 color screenprint. Only 40 are available for sale, as the rest of the edition of 100 will go to subscribers and Jay’s archives. With that many colors, and at this size, $75 is an absolute steal for this print. Grab em quick. Click Here to purchase. Wowie. That turned out great!